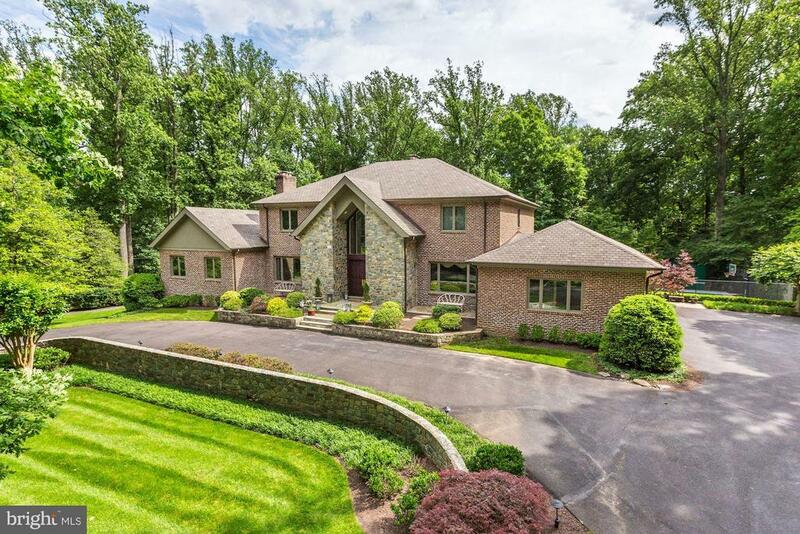 All Potomac homes currently listed for sale in Potomac as of 04/22/2019 are shown below. You can change the search criteria at any time by pressing the 'Change Search' button below. If you have any questions or you would like more information about any Potomac homes for sale or other Potomac real estate, please contact us and one of our knowledgeable Potomac REALTORS® would be pleased to assist you. "No Reserve Auction to be held on-site, Saturday, June 15th, 2019, at 11:00 AM. 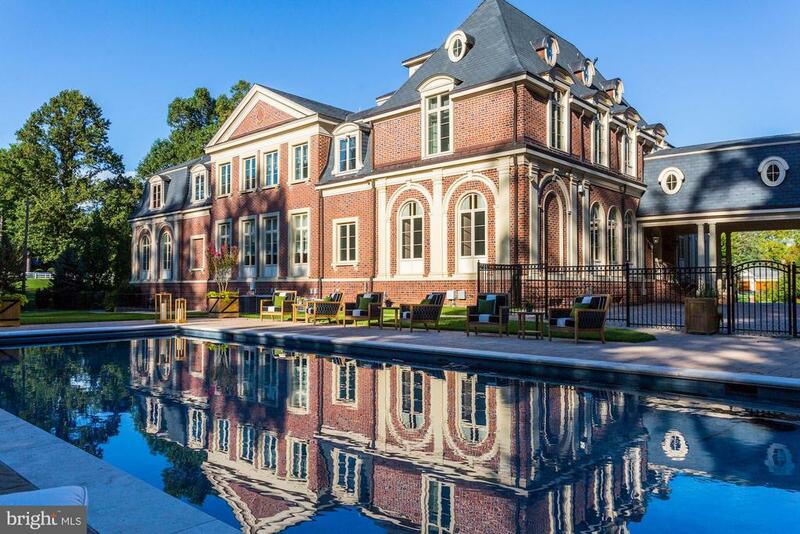 Starting, Saturday, May 18th, 2019, open house previews every Saturday & Sunday 1:00PM-4:00 PM, Private appointments available, Call for detailsStately chateau of captivating elegance is among the finest properties in D.C. Metro. Over 27,000sf across the 4-lvl main residence and pool house offer the ultimate in fine living and gracious entertaining. 9BRs, 13BAs, Owners oasis, multiple guest suites, ballroom, 2-story library, his/her offices, cinema, gourmet kitch, catering kitch, service quarters, elevator, pool REGISTRATION FORM REQUIRD." "Magnificent estate blends privacy, elegance & embassy grandeur! 9 BRs, 16 BAs; pool, spa and pool house; impressive reception; gourmet kitch, Neff cabinets; ceiling designs by Buckingham Palace artisan, heated paver driveway, 2 add~l kitchens, service entrance and quarters, separate apt, and more! Live and entertain in magnificent luxury accompanied by the alluring privacy of protective woodlands." "Stunning Aspen inspired custom home perfectly perched on a 2 acre cul de sac lot close to Congressional Country Club and TPC at Avenel. This spectacular home is a car enthusiasts dream with a 3 car attached garage, a 3 car detached garage with a full guest house above and a hidden, underground, state of the art batcave that holds another 10-12 cars that features full mechanicals, air, exhaust systems and tool room. All garages/guest house are connected underground to the main house. A California style pool house boasts sliding glass panels that open to a family room/gathering area/kitchen, covered dining pavilion, sunning loggia with waterfall wall,built in stereo speakers, heated saltwater pool/spa, gas fire pit, pool bath and changing room. The outdoor oasis features an expansive lawn, a discreetly placed lit sport court, extensive landscaping with waterfall and security features and stone walkways to main house terrace and grill area. The main entry hall focuses on the dramatic double sided fireplace, gallery hall with arched openings to breathtaking great room, dining, spacious kitchen with breakfast room, billiard room, spacious den and 2nd office/retreat. 2nd floor boasts 4/5 bedrooms including a California/Napa style master retreat w/luxurious bath & dressing closets, all additional bedrooms with en suite baths & sunny working art studio. Lower boasts huge gym with daylight walkout, guest suite, recreation room, theater and discreet entrance to the underground garage. Quartersawn walnut flooring, 11-12+ ceilings, superior finishes and attention to detail. Elevator and generator ready, geothermal zoned systems, state of the art security, stero and smart home wiring. Warm and embracing, the positive energy and light in this home makes a restorative retreat for wonderful family gathering and decadent entertaining. For further details, contact listing agents for a confidential tour." "JUST LISTED! MUST SEE TO BELIEVE! Incredible custom home offers nearly 14,000 SF of luxury living space on 2 private acres backing to serene parkland! Six Bedroom Suites each have their own Bathrooms, including Master Steam Shower, Bubble Tub, w/ His & Her Walk-In Closets and Water Closets, convenient laundry. Dramatic Two-Story Foyer and Living Room offer tons of natural light and gorgeous spiral staircase to the upper level. Top-of-the-Line Family Kitchen, Catering Kitchen, and Lower Level Bar - each with high-end Wolf/Sub-Zero appliances. LL Billiards Room, Wine Cellar, and more. Fabulous Rear Garden w/ Outdoor Kitchen. 4-Car Garage. Too Many Details to list!" "SPECTACULAR ONE OF A KIND CONTEMPORARY ON BREATHTAKING 2+ ACRE LOT W. RESORT SETTING. RENOVATED + EXPANDED IN 2006 WITH THE FINEST GOURMET KITCHEN, EXTRAORDINARY MASTER SUITE, THEATER, BOWLING ALLEY AND SO MUCH MORE. INCREDIBLE FLOOR TO CEILING MILLWORK ENHANCES TO 100' TRANSITIONAL GALLEY. SEE VIDEO. ONLY PRE-QUALIFIED BUYERS." "EPITOME OF CLASSIC ELEGANCE, MODERN LUXURY AND BREATHTAKING GRANDEUR BEST DESCRIBE THIS MAGNIFICENT GATED ESTATE COMPRISING OF A MAIN HOUSE AND A 2-STORY IN-LAW SUITE ADDITION. HIGHLIGHTS: GRAND BALLROOM, EMBASSY-SIZED DR, 2 RECEPTION ROOMS, 6 BR SUITES INCL. LAVISH MASTER SUITE, 4 KITCHENS, AND CLUB-STYLE LL W/BANQUET ROOM, WINE CELLAR, FULL BAR, AND THEATER. 4 TERRACES, 6-CAR GARAGE + MUCH MORE"
"A one of a kind home in a one of a kind neighborhood. 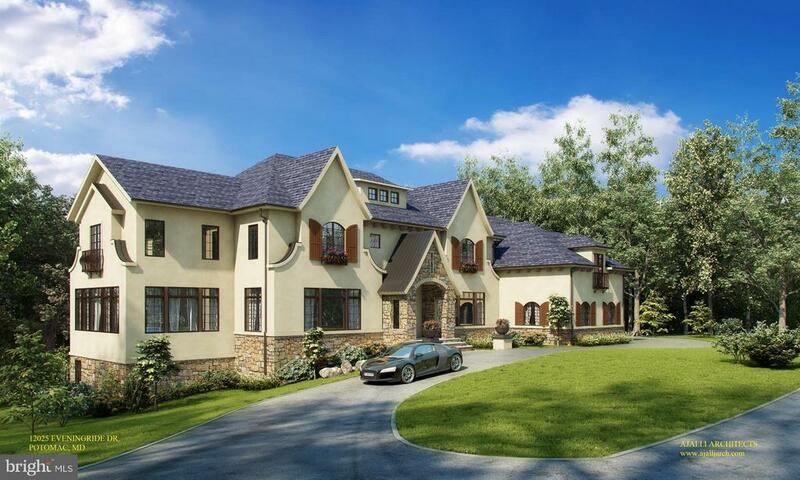 This beautiful home will be built with the highest standards and quality. 8 bedrooms, 7 full baths. Lot surrounded by acres of open space. Community boasts wonderful equestrian center, indoor and outdoor rings, 9 miles of hiking/riding trails overlooking the Potomac River." "Grand chateau in Falconhurst ideal for full-scale entertaining and comfortable family living. 7 BR, 7 fireplaces, 6 full BA, 2 half BA. Teak hardwood flooring. Gourmet & catering kitchens. All brick exterior. Decks, pool, tennis court, putting green. Auto enthusiast's dream with oversized 4-car garage, lift, outbuilding for recreational vehicle or 6 additional cars with potential uses above." 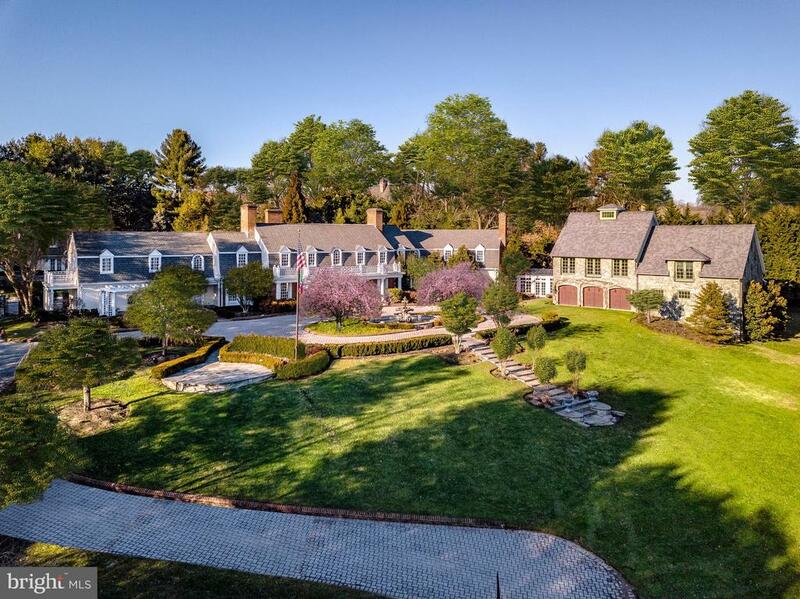 "A remarkable estate in the esteemed Round Hill subdivision located in Potomac, Maryland has been created and designed by the original and still current owners . Situated on 2 carefully landscaped acres atop a gentle rolling knoll, this property is a warm, intimate home that also offers a one of a kind lifestyle. With a main house, a guest house and a pool house, space is not an issue. A Patrick Cullinane designed and built main house and a Natelli addition of the Villa, the craftsmanship is from the finest in the area. All rooms are gracious in size but no room is cavernous and cold but rather warm and inviting. Carefully curated finishes abound. Exceptional custom millwork throughout. A touch of European flair is reflected in the custom painted walls in the formal spaces reflecting cities in Italy and an all stone wine grotto. For additional entertainment and activities, there is an indoor basketball court, exercise room/gym, sauna, outdoor swimming pool, pond, Bocce court and outdoor grilling and kitchenette spaces. 8 bedrooms, 11 full baths, 3 half baths, 11 fireplaces, 4 laundry areas,4 full kitchens and 6 car garage spaces. Unparalleled luxury." "Original Belle Terre estate in Falconhurst! Private compound on 2+ acres with three houses & pool house. Main house (5BR/4FB/2HB) on 3 exquisitely fin lvls (apprx 7,700 SF). 1st guest house (2BR/3BA-apprx 2,850 SF). 2nd guest house (3BR/den/2BA-apprx 1,600 SF). Pool house approx 650 SF. Perfect multi-generational, extended family or special situation property located just beyond Bradley Blvd." 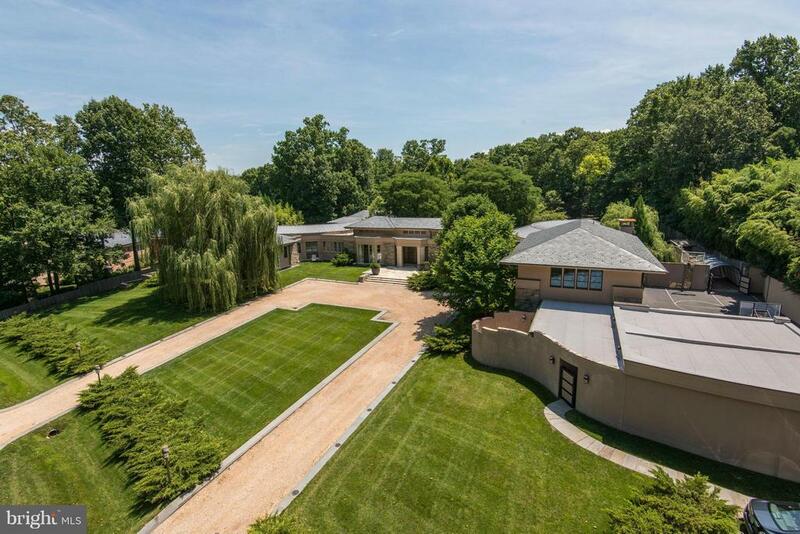 "FABULOUS CUSTOM BUILT MASTERPIECE in the prestigious Round Hill only 5 minutes from Potomac Village. Secured and gated entrance with brick pave circular drive. Fully fenced yard. Beautifully constructed, updated and appointed with exceptional architectural details throughout all 3 finished levels. Huge finished lower level with theater, custom bar, wine cellar, billiard room. Outside is spectacular with pool, waterfalls, terrace and spa. New roof. Lots of extra features such as elevator, caterer's kitchen, central vacuum. Home Theater, 2 full Bars, Library, Solarium, Laundry on main and second levels, Steam Shower, and utilities available for out door kitchen. Entire house is ideal for entertaining small or large groups." "HUGE price adjustment... A spectacular, 12,000~SF home in one of Potomac's most coveted neighborhoods. High ceilings, walls of glass perfect for large scale entertaining with sensational foyer w/-glass ceiling & curved staircase, incredible hand-tooled crown moldings, Italian marble floors throughout & extraordinary custom fpls. Pool/Guest house w/- In-ground pool and indoor jet pool in a quiet cul-de-sac setting." "Custom French Country 11,000+sf home - simply EXQUISITE inside and out. Timeless design and the highest quality finishes provide luxurious, yet comfortable everyday living. Spacious rooms with soaring ceiling heights add grandeur, while natural stone and wood surfaces & fireplaces create welcoming warmth. Flagstone terraces, elegant landscaping, and mature trees surround the generously sized pool." "FOUR YEARS NEW!!!! Custom four level home, on quiet cul de sac - in POTOMAC FALLS. This superlative property will meet your every need. Top tier finishes throughout, size, grace and comfortable family living at it's finest. 10 ft ceilings, custom moldings, 8200 sq ft above grade, 3200 FINISHED .....below. Steam room, game room, theater/exercise room.....this home has it all. Four finished levels.....best luxury value in 20854. 24 hr. notice to show. Mid- June possession, tenant occupied." "EXTRAORDINARY PENNSYLVANIA FIELDSTONE CENTER HALL COLONIAL DESIGNED BY ACCLAIMED KATINA'S ARCHITECTS FEATURES IMPECCABLE FINISHES AND EXPERT WORKMANSHIP ON 4 BREATHTAKING LEVELS WITH APPROX. 12,000 UNPARALLELED SQFT. EXPANSIVE PRIVATE GARDEN WITH MATURE SPECIMEN PLANTINGS, IN GROUND POOL, BLOCKS TO VILLAGE SHOPS AND RESTAURANTS." 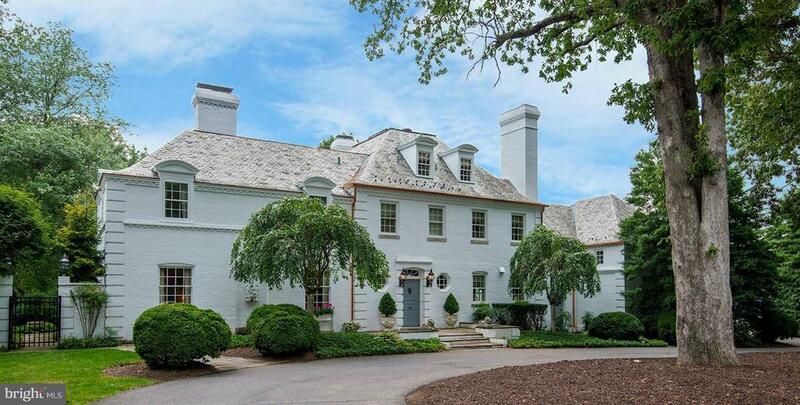 "This Cullinane-built masterpiece is located in the prestigious Round Hill neighborhood. Sited on a gentle knoll, this special home is approached by a winding cobble drive and surrounded by landscaping, soaring oaks and poplars, delightful water features, including koi pond and pool, multiple terraces and balconies. Located on acul-de-sac, the home enjoys tremendous privacy and tranquility. The marble foyer with columned archways and volume ceiling provides a dramatic introduction to the home. Immediately evident is the design vision of nationally-acclaimed Barry Dixon who led a team of artists and craftsmen in creating a home of elegance and distinction. Graced by wide-plank, pegged oak floors, custom plaster ceiling details, paneling, oversizedcasings and mouldings, the level of detail and artistry throughout is without parallel. The main level features an embassy-sized dining room, large living room overlookingpool and terraces, library, office, gourmet kitchen, warm and inviting FR with adjoining wet bar. Additionally, the first floor features a full guest apartment with sitting area, kitchen, bedroom and full bath. The thoughtful layout upstairs - including a stunning master suite with separate his and her dressing and bathing areas - provides space and privacy for five bedrooms, each with en suite bath. A fully walk-out lower level includes the ultimate in entertainment and relaxation - from full-sized bar, to game area, additional FR with fire place, separate staff quarters, exercise room and sauna. Constructed with the finest materials and lovingly maintained by its original owners, this home is ideal for FAM living, as well as large-scale entertaining, bothindoor and out. With easy access to Potomac Village, 495, and the area's finest public and independent schools, this beautifully-rendered, elegant home awaits its lucky nextowners." "NEW Home to be built on 2.0 acres lot on a street of all custom homes. Lot is about 2 miles from Beltway (495) with easy access to D.C. and Virginia. 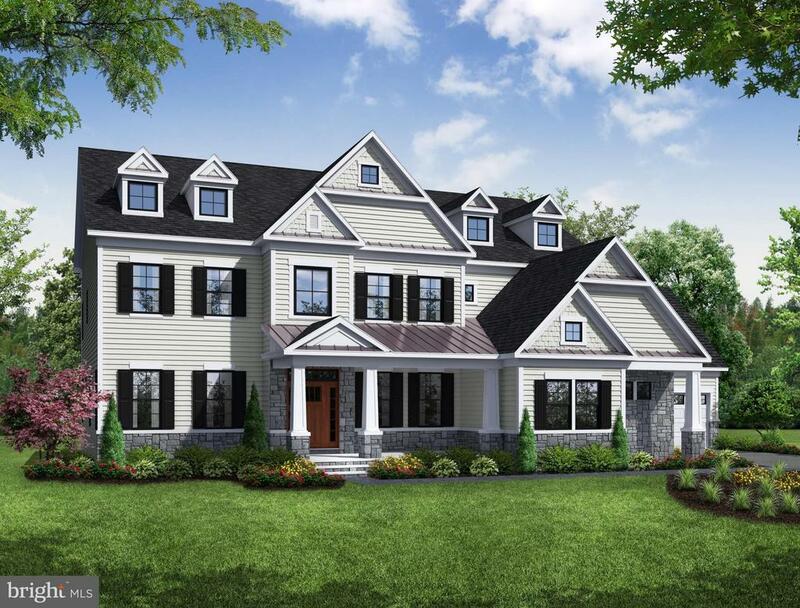 POTOMAC HERITAGE HOMES, known for attention to detail, innovative plans and beautiful finishes, will work with your client to customize this home. Photos include interior hose pictures and lot overview. Attached documents include floor plans." "REMARKABLE TRANSFORMATION! PRESENT OWNERS HAVE EITHER UPDATED OR EXPANDED EVERY INCH OF THIS HOUSE OF OVER 11,000 SQ FT. INCREDIBLE MILL WORK, BEAUTIFUL ARCHITECTURAL DETAILS, THE HIGHEST QUALITY FINISHES, SONOS SOUND SYSTEM, AND A USER FRIENDLY FLOOR PLAN MAKE THIS A SPECIAL HOME TO LIVE IN AND ENJOY. THE KITCHEN HAS BEEN EXPANDED AND HAS EATING SPACE ADJACENT TO THE FAMILY ROOM, LARGE BUTCHER BLOCK ISLAND, AND BUILT IN BAR AREA PLUS WALL OF WINDOWS OVERLOOKING THE LARGE BACKYARD WITH LIGHTED TENNIS COURT AND PLENTY OF SPACE FOR FUTURE POOL. ADJACENT IS A CATERER'S KITCHEN WITH WASHER AND DRYER. ALSO SPECIAL IS THE MASTER SUITE WITH LARGE BEDROOM WITH FIREPLACE, DRESSING AREA WITH HUGE WALK-IN MASTER CLOSET AND AN AMAZING MASTER BATH WITH CUSTOM BACK TO BACK VANITIES, LIGHTING, VAULTED CEILING WITH SKYLIGHTS AND OVERSIZED SHOWER. SO MANY GREAT FEATURES IN EACH ROOM. .A LARGE PANELED LIBRARY WITH ADJACENT WET BAR AND PANELED OFFICE SPACE, A FAMILY ROOM WITH 27' HIGH CEILING AND FLOOR TO CEILING STONE FIREPLACE AND AMAZING CRYSTAL CHANDELIER. FIRST FLOOR GUEST ROOM HAS ENSUITE BATH. THE FINISHED WALKOUT LOWER LEVEL IS ALSO SPECIAL WITH HUGE RECREATION ROOM WITH FIREPLACE, WALK BEHIND BAR WITH NEWLY TILED FLOOR AND FABULOUS BATHROOM WITH STEAM SHOWER. SONOS MUSIC SYSTEM IN KITCHEN, FAMILY ROOM AND OUTSIDE DECK. THE HOUSE IS WELL SITED WITH CIRCULAR DRIVEWAY, DECORATIVE STONE WALLS, LARGE TERRACE AND THREE CAR OVERSIZED SIDE ENTRY GARAGE WITH POLY MIXED SPECKLED FLOOR. LOCATED WITHIN A STONE'S THROW OF POTOMAC VILLAGE, JUST MOVE RIGHT IN!" "SPECTACULAR HOME BUILT BY ACCLAIMED BUILDER CHRIS BOGDAN & RE-DESIGNED BY RENOWNED ARTIST YANKEL GINSBURG! THIS 8400+ SF WOWS W/DRAMATIC MODERN ARTISTIC FLAIR, ARCHED WINDOWS, GRAND FOYER, CHEF'S KIT & LAVISH MAIN LVL MASTER STE. INCREDIBLE TIERED LL W/12' CEILG,THEATER,GYM,2 GUEST STES,BAR &WINE CELLAR. EXQUISITE YARD W/HEATED POOL/SPA, STREAM/WATER FALL,GAZEBO & SCENIC PARKLAND!" "Open Sunday, 4/7 from 2-4pm! This home is beautifully designed for today's living and grand scale entertaining. The property is fully gated for privacy and upon entry to the stunning double foyer, one is transported to complete luxury. The kitchen is made for gourmet cooks. Massive great room with cathedral ceiling is a show stopper. Sumptuous main floor master bedroom with study, sitting room and marble bath with sunken tub and steam shower is divine. However, the piece de resistance in the home is the lower level. A 500+ bottle wine cellar, amazing media room, huge recreation room, second full kitchen and commercial home gym are just a few of the outstanding amenities. The gorgeous, private backyard with huge stone fireplace and lit tennis/sport court are a bonus. Must see this house in person to appreciate." "Exceeding your expectations. Colonial with open floor plan and contemporary flair. Beautifully renovated to meet today's tastes. 6 spacious bedrooms, 7 full baths, 2 half baths. Gourmet kitchen, elegant dining room, 2 family rooms, 2 studies. Fabulous backyard, pool, hot tub, large patio with built in grill, screened porch. Home theater, gym, indoor bball court.See 3D TOUR"
"Picture yourself relaxing in luxurious light-filled interior spaces, enjoying the tranquility of a lovely landscaped lawn and pool, or entertaining on any scale, with guest quarters to help. Exceptionally stylish and versatile, the custom home combines contemporary and traditional elements in nicely proportioned,open rooms. Impressive architectural elements and exceptional location on a cul-de-sac in the prestigious Avenel community on a private two-acre lot, withwelcoming front yard and driveway, and backyard affording views from the house of the sprawling lawn, trees, large stone patio with barbecue, and swimming pool. Designed for the lot by the Sutton Yantis architectural firm, and built by acclaimed local builder Ted Visnic for the current owner using carefully selected highest-quality construction, materials and fixture. Recently expanded by the addition of a guest house joined to the main house by a covered walkway, built by Bradbern Construction. The home has a total of 6 garage spaces, 6 bedrooms, 6.5 bathrooms and over 9,000 livable square feet in the main and guest houses. A Great Room with 2-story ceiling sits at the heart of the home. The fully finished walkout lower level provides entertaining and recreation space leading to the pool. The guest house is a full apartment above the 3-car garage, joined to the house by a covered porte cohere. Don't miss this amazing property!" "Gorgeous home with winter views of Potomac River. An entertainer's dream, this home is the largest model in development with custom designer upgrades after build. Wonderful open floor plan & newly finished hardwood floors. Fabulous circular sitting room and family room off gourmet kitchen. Sited on almost 1 acre backing to trees. Minutes to Potomac Village, shopping, dining and highway." "Architectural masterpiece built by Natelli Builders in 2002 sited on a professionally landscaped .54 ac lot in the privately gated village of Rapley Preserve at Avenel! With over 7,000 finished sq ft, this custom home is filled with the finest of finishes, four fireplaces and generous sized spaces ideal for entertaining. From the soaring two story great room open to the gourmet chef's kitchen, to the banquet sized dining room and library with cherry wood built-ins, to the gallery boasting groin vault ceiling treatment, no detail has been left untouched throughout the main level. Step into the main level owner's suite and discover the ideal retreat with a gas fireplace and deluxe marble bath. The large walk-out lower level features a recreation room with a fireplace & wet bar, exercise room, two additional bedrooms, two full baths and ample storage. You'll love the separate garden room off the three car garage with bonus space ideal for customization! Step outside to find a lush, professionally landscaped yard with stone patio, extensive landscape lighting and outdoor sound system with built-in speakers. You will enjoy the use of all of Avenel Park's outdoor amenities, the Swim & Tennis Club at Avenel and available membership give you privileges in the Tournament Players Club at Avenel."